"Finally a poet!" Steve Budd UK (Management - Dido, Franz Ferdinand, & Bjork). 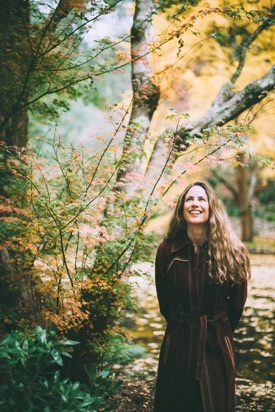 Roots/pop artist, Carolyn Oates mixes jaw dropping guitar work with heartfelt songs that speak to the human condition. Known for her staggering array of guitar chord voicings, she adds to this a fine mastery of the lyric form, creating beautiful stories. "Unique" is a word that genuinely describes what Carolyn Oates is doing. With vocal stylings of Suzanne Vega, she combines the adventurous guitar tunings of Joni Mitchell with the dexterity of Paul Simon. The highly acclaimed album "In The Moment" has been produced by David Carr, who has been called the Rick Rubin of Australia, and recently achieved the accolade of mixing the ARIA award winning album "Sharkmouth" for Russell Morris. Carr has also worked with a diverse selection of acts from Antiskeptic to Skipping Girl Vinegar, Deborah Conway to Big Scary. Oates has also been garnering radio support from ABC Adelaide, 3RRR, PBS FM, JOY FM, Three D FM, Radio Adelaide, Shoalhaven FM, and BLU FM just to mention a few. 2016 has seen Carolyn beginning to garner the recognition she deserves as a guitarist having recently been appointed acoustic guitarist for Vika & Linda Bull’s band; along with opportunities to play for Deborah Conway, Paul Kelly, Rebecca Barnard, Ali Barter, Emily Lubitz (Tin Pan Orange), Clare Bowditch, Matt Thomas and Casey Bennetto.